There are plenty of resources available to help you once you’ve decided to move to a new office space, but what if you haven’t made up your mind yet? If you’re reluctant and aren’t sure if now’s time to act, here are four signs to nudge you along so you can make this important decision. 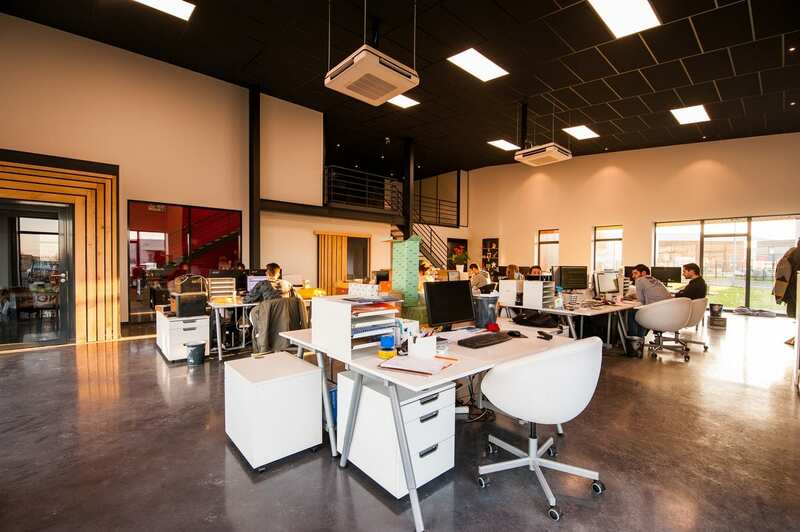 An overcrowded workspace is simply unsuitable for productive work and employee satisfaction. You can always make more room by digitizing files, getting rid of the old industrial copier, and making your furniture layout more efficient. But purging and rearranging alone can only open up so much floor space. If clients are pouring in and leadership has already begun hiring new team members, you may want to consider finding new office space. Attracting and retaining top talent is much easier when you invite people to a modern, energizing, and organized space. Upon entering a cramped, chaotic, and disheveled workspace, most candidates will either walk right out or pretend to like it while silently plotting their escape. An open-concept office is wonderful—at least in theory. They’re certainly great for collaboration, but they can also make it difficult to concentrate on work that demands attention. A balance between community and privacy is ideal for productivity. If your staff is running out of quiet places to have meetings, take phone calls, or even work privately for a few hours, chances are that it’s time to relocate or consider a new office design. Meeting spaces should comfortably hold everyone in attendance and be plentiful enough that double bookings are rare. Employees should also have access to private workrooms where they can take client calls without the distracting chatter of the rest of the office in the background. Providing adequate space can boost morale and work output. If your current office is dated and dingy, it could be holding you back. Appearances say everything about you and your company; to new clients and employees, a disorderly office could be screaming, “Get out while you can!” A young startup working out of a doctor’s office that hasn’t been remodeled since the 1990s simply doesn’t reflect your brand or the company’s direction and can be off-putting to visitors. While fresh paint, new furniture, and a couple of new fixtures can spruce up your office space, these minor cosmetic improvements are not a long-term solution, particularly if the exterior of your office is just as uninviting as the interior. If the location, neighboring buildings, road conditions, and landscaping don’t reflect your company’s vision and values, then it’s time to find a new place that does. If your margins are low because of exorbitant rent, you may want to consider a lower-cost option. While working in the heart of Annapolis can be energizing, you’re paying a higher price for less space. Consider what moving three miles out of the city center can do for your bottom line, and for your employees’ satisfaction. Less money for more space can be a win-win if the location is still convenient for clients and employees. Furthermore, consider what you can do with that extra savings every month—like investing it back into your employees and business. Ready to Find a New Office? If you can relate to one or more of these signs, then it’s time to consider moving to a new office space. Got questions? Murphy Commercial Real Estate can assist you in your search for the perfect new office. Give us a call—we’re more than happy to help.